Introduction by Bill Melendez. Starting off with a heartfelt reminiscence by Melendez, whose 40-year collaboration with Schulz brought Charlie Brown & Co. to life in the classic (and, we all have to admit, not-so-classic) TV and film adaptations of Peanuts -- fifty in all, according to Melendez -- this volume heads right into two more years of non-stop classics. The little red-haired girl, the Great Pumpkin, baseball, school, hope, despair and everything else -- it's all here. 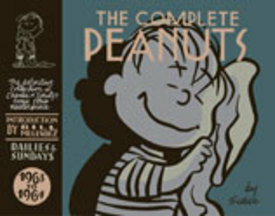 A special highlight is the appearance of several never-before-collected longer stories including Linus's ill-fated run for school president and Snoopy's traumatic stay at the hospital. Enjoy!